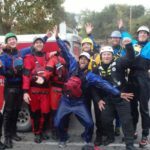 Anyone who has any training at all in Swiftwater Rescue, River Rescue, Flood Rescue,or Surface Water Rescue knows something about throw bags and throw bagging. 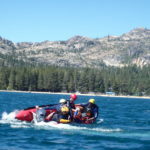 When we are challenged into…..
As we head into the potential of an El Nino year, our Sierra Rescue classes are filling up with Lifeguards, Fire Fighters, and many Government employees being sure they are…..
We were lucky enough to have Reno Fire participate in a Flood Rescue Boat Operator course in Donner Lake last week. 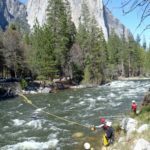 Although there is currently not enough Swiftwater for a…..
Don Lester, an Instructor Trainer for Sierra Rescue and Rescue 3 International, is currently teaching an SRT Unit 1, and SRTA and a Water Instructor Course. 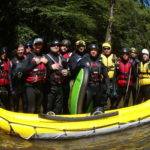 Although we are experiencing…..
Sierra Rescue co-owner Julie Munger spent a large portion of her international professional guiding career in Chile guiding on the BioBio and Futaleufu Rivers. 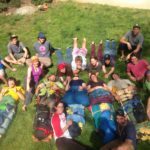 Lead instructor Zach Byars recently visited….. 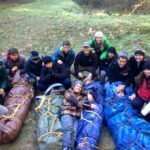 This spring we have been busy with our wilderness first responder courses. 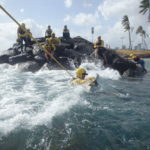 Beginning this past January we have taught 6 full first responders and 4 WFR re-certs. Most recently we….. Weather and water can be unpredictable, and often paddlers are caught off-guard by an unexpected storm or an unplanned swim. With cold related problems, good prevention is key, and understanding…..
Boater safety. Know before you go. Boat safe. Be prepared. One of the mainstays when approaching any rescue centers on the “K.I.S.S” theory: Keep it simple and safe. As rescue efforts unfold adhering to this simple…..
Splints: The good the bad and the ugly Building a good splint takes time and thought. 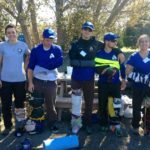 In our wilderness first aid courses some students do lots of both and still…..
Recap of the 2014 Instructor Course Another successful instructor course complete. 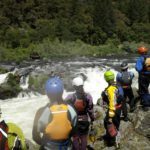 This year’s course was located on the lower Stanislaus river in Knights Ferry, CA. Thanks to the fish, flows were…..